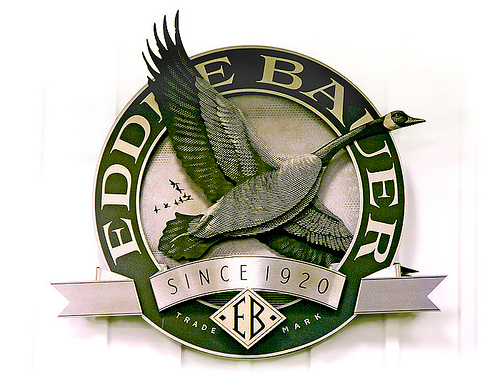 Unlike many other car seat brands, Eddie Bauer is not exactly focused on baby car seats or even baby products for that matter. This is a more or less all-encompassing brand, as long as we do not take “all-encompassing” literally, of course. Still, they mostly produce clothes, gear and things like that. Safety car seats for children are an important part of their assortment but far from the main one. 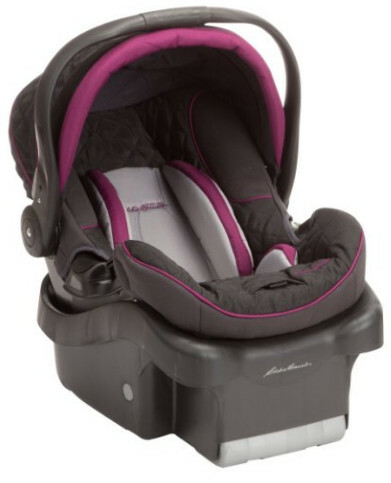 The most important advantage Eddie Bauer car seats hold over many other car seats is their price. Granted, there are many types of car seats produced, and yet, the fact Eddie Bauer car seats are some of the cheapest one still stands. The quality of their car seat is more than adequate even though this brand is not focused on car seats. Eddie Bauer may not be as popular as Safety 1st for instance but it is still up to the challenge. This car seat is rather inexpensive, similarly to most other Eddie Bauer car seats. That should actually be expected from a booster seat but this particular car seat is a harness booster or, using a different term, a combination set. As such, it has two modes. It can accommodate children from 22 to 65 lbs in the forward-facing mode and from 40 to 100 lbs in the booster mode. The seat has a side impact protection that may not be quite as advanced as what some other seats suggest. Nevertheless, with the price as low as it is, such protection is actually quite good, especially for the money. The seat does meet all federal standards and that is what it important. It is not the 2x safety some other brand can boast but it is sufficient. The comfort of the child has not been forgotten. The seat comes with a removable cup holder and, more importantly, a removable pad that cab removed if you want to wash it. The Surefit car seat may seem a typical infant car seat, however, it does have some features that make it stand out. One of them is the lower weight limit. The standard lower weight limit for infant car seats is 5 lbs. The Surefit, however, can accommodate children from 4 to 35 lbs. The difference is not much, not subjectively anyway, but the 4 lbs limit is typical for car seats able to accommodate underweight children. It comes with an infant insert specifically designed for them. Still, a safety car bed is preferable for medically fragile children. 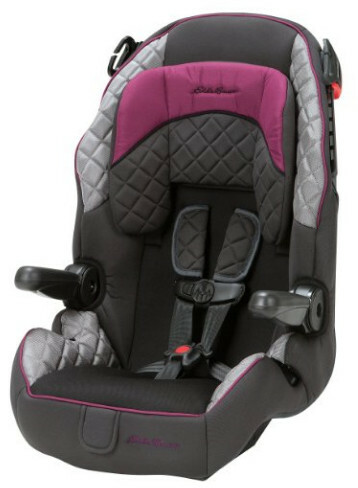 Side impact protected, the seat is equipped with a 5-point harness and easy to adjust for growing children. For the sake of the comfort of the child, the seat has a canopy that is capable of protecting your child from direct sunlight. 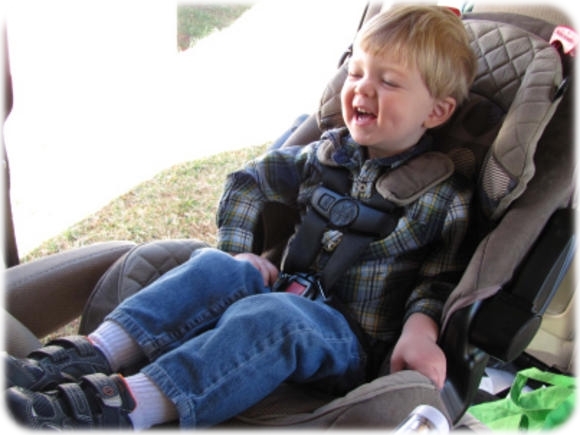 The main advantage of this car seat is the combination of its price and ability to accommodate underweight children. As a 3-in-1 car seat, the Deluxe booster is capable of being the only car seat your child would ever need. 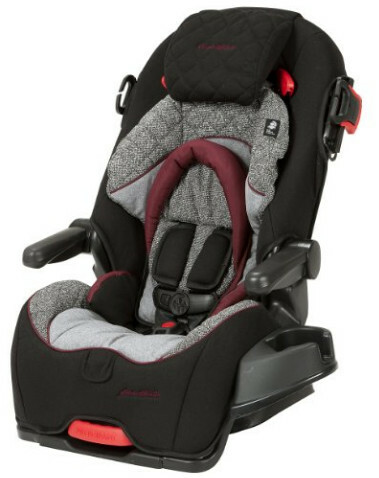 It is quite typical for such car seats to be expensive but the Deluxe is relatively inexpensive. The weight limits are rather standard, even though the Deluxe can only accommodate children up to a hundred pounds. Still, some booster seats have even lower uppermost weight limits, which makes the Deluxe far from an outsider in that department. The Deluxe seat offers a perfect side impact protection. The 5-position headrest is not quite as good as headrests with more position but it still makes the seat easily adjustable. The side wings attached to it provide extra safety. The seat also has a 3-position recline. That is not necessary for a booster seat but it is a good addition to an all-in-one car seat that can also be used as an infant seat. The Deluxe is a good universal car seat but its main advantage is its relatively low price.